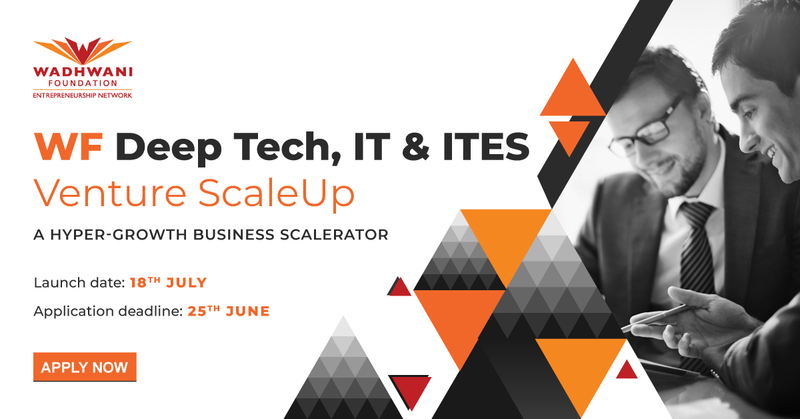 At WF IT & ITES Venture ScaleUp, we are committed to helping high-growth technology ventures scale their businesses through focused coaching and consulting on three growth levers – CUSTOMERS, CASH and CAPACITY. Our portfolio companies benefit deeply from our relationships with key stakeholders in business ecosystems around the world. This includes corporates, mentors and investors who are keen on working with ventures that are ready to make an impact on global markets. Many of our alumni companies have experienced exponential growth through our connections with corporate customers. Our growth coaches, mentors and experts’ hands-on approach brings clarity to ‘Traction Metrics’ and orients companies to a growth map that is tangible and achievable. Ours is a zero-equity and no-fees program.